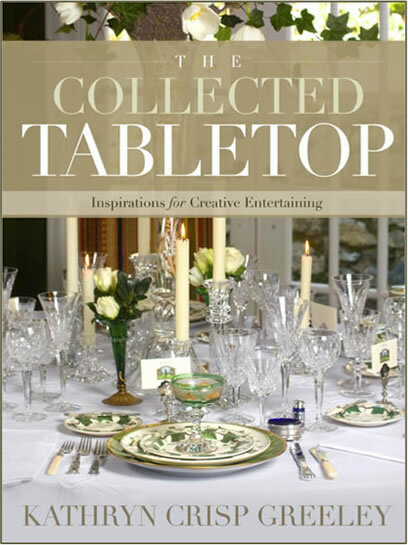 The most valuable collection of the Thanksgiving table “is the collection of guests, family and friends around the table,” believes tastemaker, North Carolina interior designer and author of The Collected Tabletop, Kathryn Greeley. 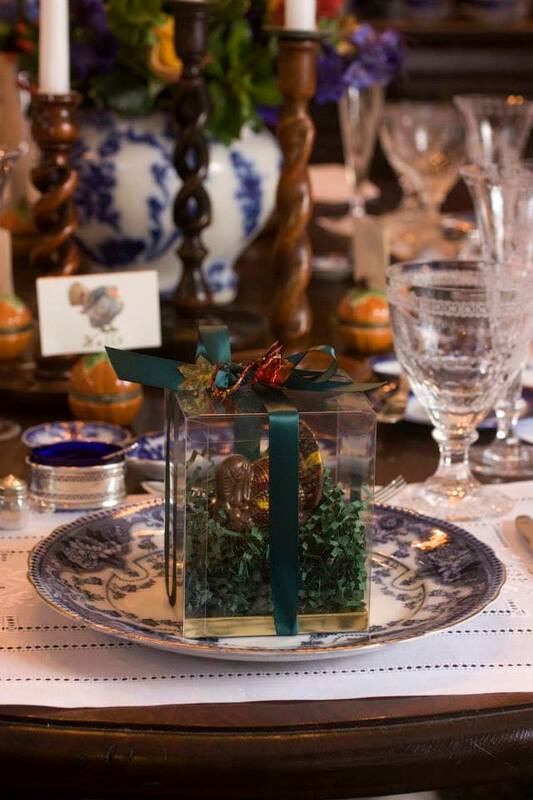 Kathryn gets creative each year with her invitations for Thanksgiving. 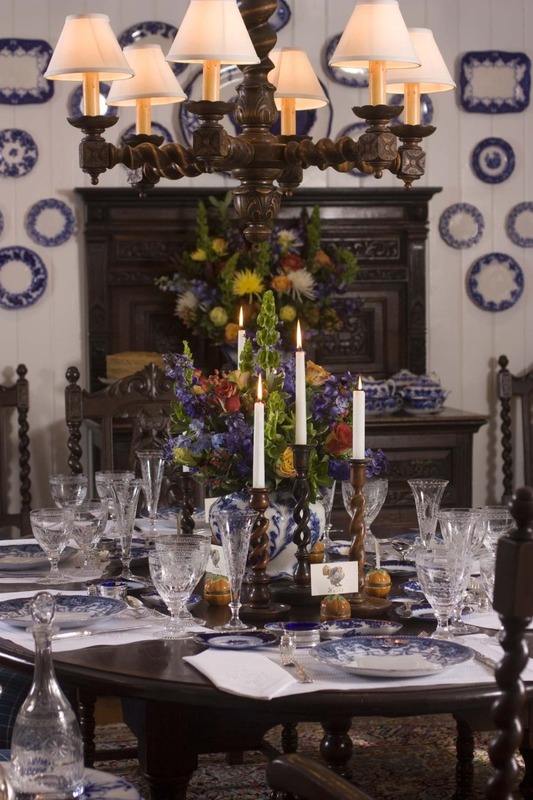 In a past year, she dropped off a jar of home-canned pickles, along with an antique pickle fork, to everyone she invited. 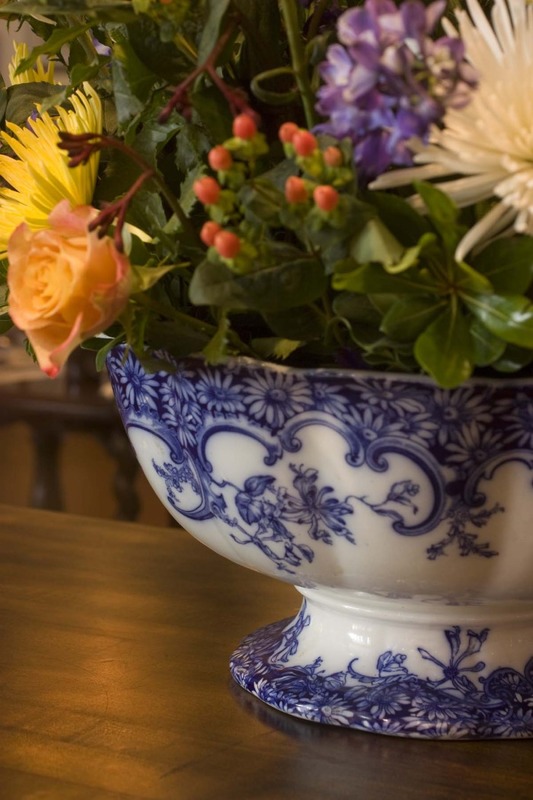 Her stemware is a mixture of William Yeoward’s Pearl and Fern patterns, combined with Waterford’s Lismore and Gorham’s Buttercup and Chantilly patterns handed down to her from her mother. 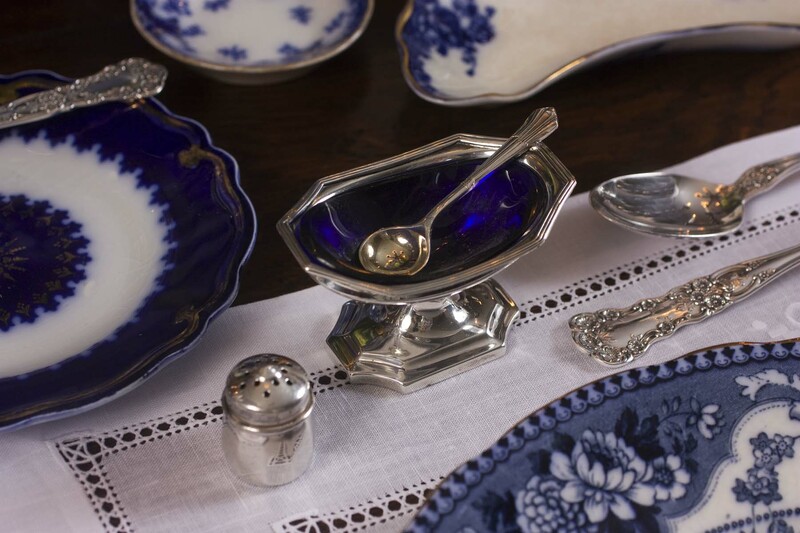 Years ago, Kathryn’s mother started a collection of sterling silver antique salts for her, and now Kathryn places an antique salt at every table setting. Kathryn’s favorite dessert was her Grandmother Crisp’s Caramel Cake. 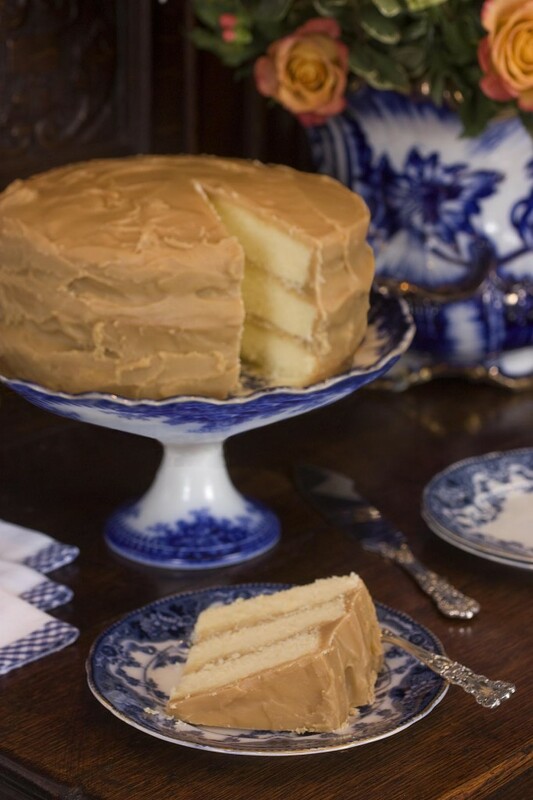 “To this day, Grandmother Crisp’s Caramel Cake Recipe is by far and away the most popular recipe from my book; we receive inquiries about it every week,” Kathryn said. Kathryn herself serves three different desserts on Thanksgiving: pumpkin pies, pecan tarts and Grandmother Crisp’s Caramel Cake. 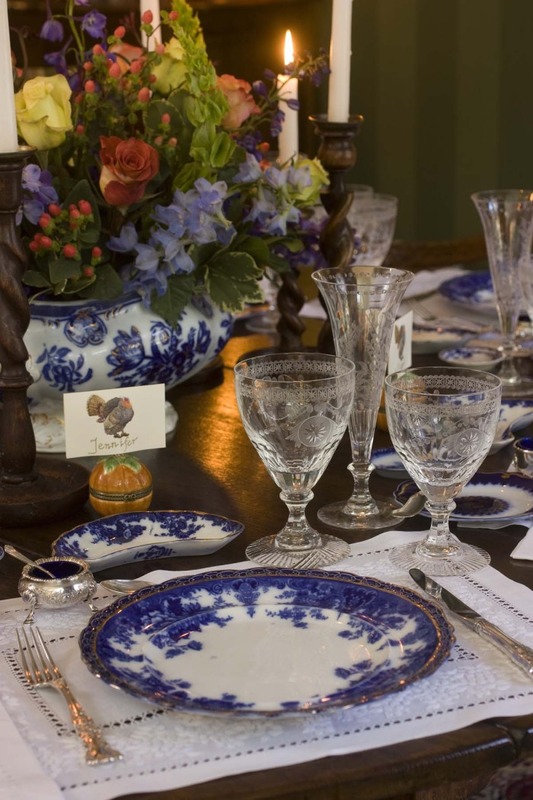 Known as a national expert in gracious entertaining, Kathryn has several “tips” for preparing for a memorable, enjoyable Thanksgiving Day meal and celebration. “One of my tips is: Use your collections,” she said. “Collections don’t come into existence just to display or hang on the wall; they come into existence to be used and enjoyed. She fell in love with the platter at a New York antiques market, but thought the price was tag was a bit steep. She was thrilled, however, when her husband, knowing how much she liked it, purchased it as a surprise for her. 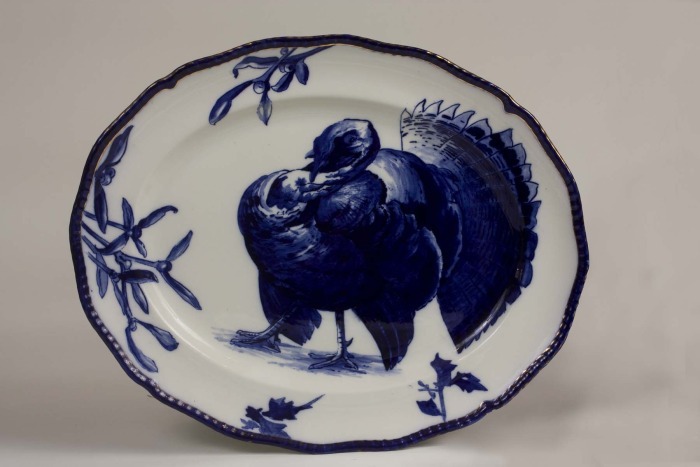 The turkey platter hangs proudly on the wall in her kitchen with other collectibles, but the platter is in the thick of the action every Thanksgiving. In the spirit of her Grandmother Crisp, Kathryn serves a bounty of food each Thanksgiving, meaning that “Guests have come to expect leftovers and take-outs, which I do have each year. I find it fun to used attractive containers for sending takeout boxes home with them. You can purchase very nice takeout containers at Mr. Takeout.com. Kathryn’s most important tip, however, is planning ahead. Since she does all the Thanksgiving cooking herself, she takes off the entire week before Thanksgiving from her design business. “I have a schedule and I stick to it. 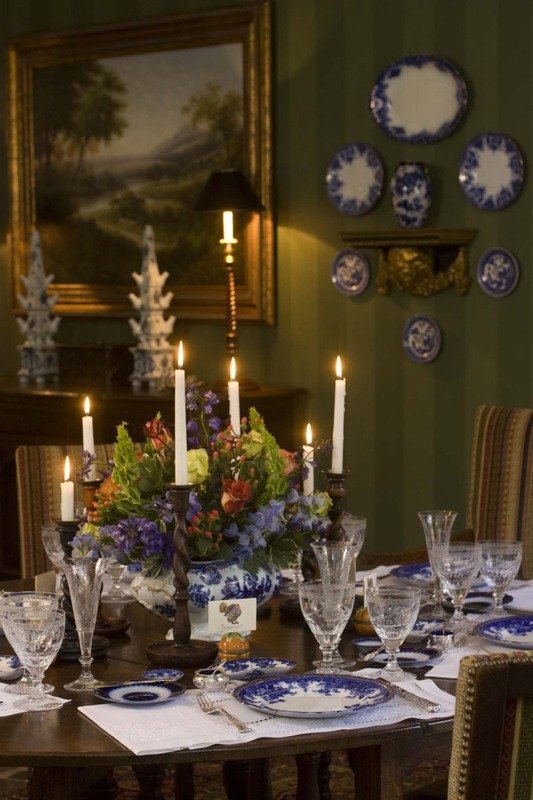 A relaxed hostess is very important for a joyful Thanksgiving, because, “The number one key ingredient for any entertaining is graciousness,” said Kathryn. 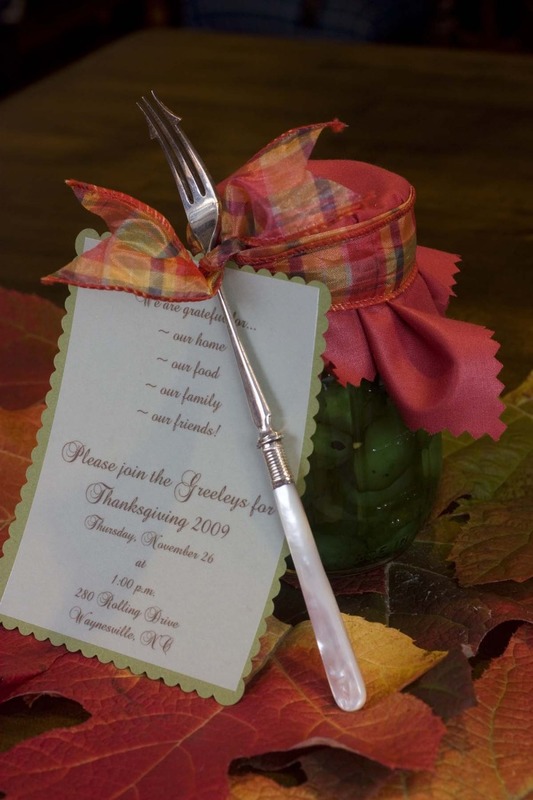 What is your number one key for enjoying entertaining your own family and friends at Thanksgiving? Let us know in the comments! Beautifully written! The comment “It makes for a fun and interesting group” is at the heart of why my mother-in-law opened her doors to everyone who needed somewhere to go for the holidays. Reading this story takes me back to the wonderful times we spent with my mother-in-law during the holidays and the love she would share with anyone who was willing to receive it. Thank you Kim for taking me back to those beautiful moments through the descriptive way you write!